After starting 2015 off with a *BANG*, prepare yourself for the load of action and drama, that the RF Generation Playthrough Group has in store for you in February. For the February Retro Playthrough, we return to the land of Hyrule in the timeless classic The Legend of Zelda: A Link to the Past for the SNES. In this prequel to the original two Zelda games on the NES, take control of Link as he embarks on an epic adventure to once again save Princess Zelda and restore peace to Hyrule. Join us for The Legend of Zelda: A Link to the Past and experience what is commonly regarded as one of the greatest games of all time. Over on the modern side we will be choosing our own fates with a visual novel for the Nintendo DS. In 999: Nine Persons, Nine Hours, Nine Doors you find yourself aboard a sinking cruise ship with eight strangers. The only path to freedom is found after finishing a series of puzzles. The branching story line and six unique endings will have you replaying until you find the right answers to the "Nonary Game." 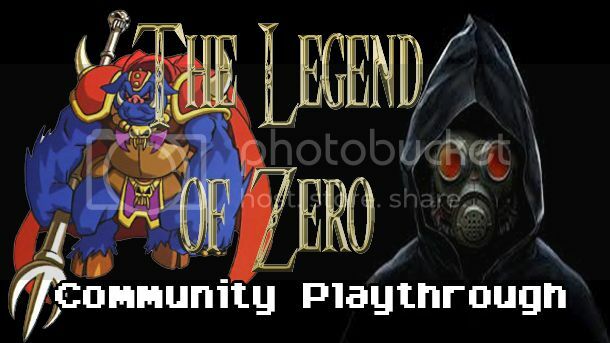 If you think you have what it takes to save the Hyrule kingdom or escape the sinking ship alive join us in February's Community Playthrough.